Bateman General Store, Wayah Road & White Oak Lane. Hardware and sundries. 828-321-1200. Bryant Bait and Tackle, 18154 Wayah Road. Fishing & hunting supplies. 828-321-2371. Nantahala Farms & Nursery, Hydroponic farming, fresh eggs and produce. Nantahala Lakeside Store, Wayah Road. Sundries, convenience items. 828-321-5975. The Rustic Market, 18429 Wayah Rd. Fresh baked goods, convenience items, furniture, gifts, crafts, wifi. Mon-Sat 9 am - 5 pm. Sunday, 11 am - 4 pm. 828-321-1337. Andrews, NC on US 19/74 has the closest movie, ABC package store and grocery store. Beer & wine may be purchased at the NOC Store in the Gorge. Lake’s End Grill, 17836 Wayah Rd. Nantahala Lake. Full breakfast menu; sandwiches, burgers, hot dogs, salads, chicken tenders, shrimp, appetizers, desserts. Seasonal hours. 828-321-3000. Pizza by the River, Nantahala Gorge. Seasonal hours. 488-8680. Nantahala Real Estate Company, Wayah Road. 828-321-3101.
offers quiet and relaxation. Yet it's surrounded by all the activities the Smokies have to offer. 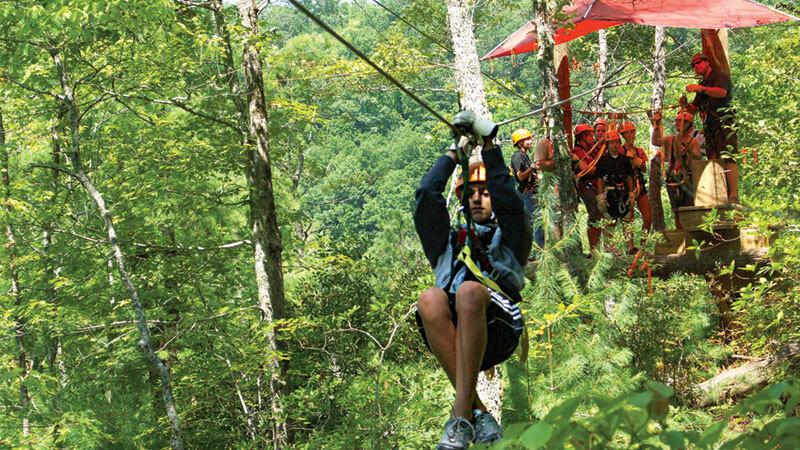 The Nantahala Community is centrally located within all the great vacation activity areas of Western North Carolina. You can go whitewater rafting on the Nantahala River, fish for trout in pristine streams, or bass in high mountain lakes. Visit Cherokee Indian Reservation or nearby Franklin NC, known as Gem City because of all the great gem mines in the area. Take a hike in the Joyce Kilmer Forest or Great Smoky Mountains National Park. Or just relax in your vacation rental and experience the quiet of our little corner of the Smokies. Come see us!